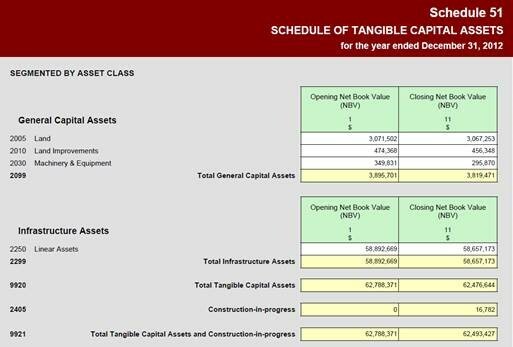 Tangible Capital Assets (TCA) | AGL | Applied GeoLogics Inc.
Let the power of the OMS TCA Extension bring everything together for PS-3150 compliance; including a full slate of reporting to generate TCA Schedules. Use the built-in tools to automatically deflate assets and treatments based on replacement values, actual values or general unit costs. The module handles all financial transaction types including: Historical Costs, Betterments, Write ups, Write downs, Partial deletions, Full deletions and Work in progress. 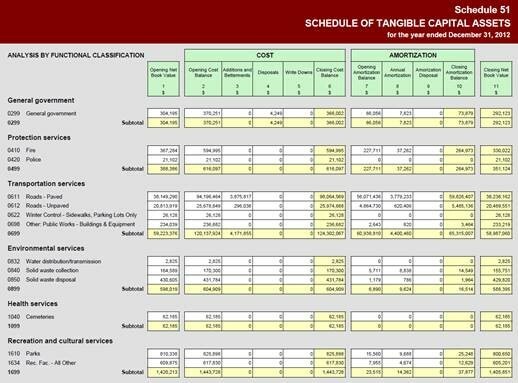 Automatically roll up maintenance costs as capital activities when user-specified thresholds are met. Break up and categorize assets and activities however you want through the fully customizable rules set or just use the defaults directly out of the box. Out of the box the system supports Amortization: by month, by half years, by year, double declining balance and non-depreciating. The system fully supports integrating additional amortization methods as well through the in-built configuration tools. Simply import your previous year’s results and let the system take it from there.